Robinson HS: I-495 Beltway to Exit 54 (Braddock Road) west. Take left onto Sideburn Road. School will be on Left. Take 2nd driveway, fields immediately on left. MapQuest. 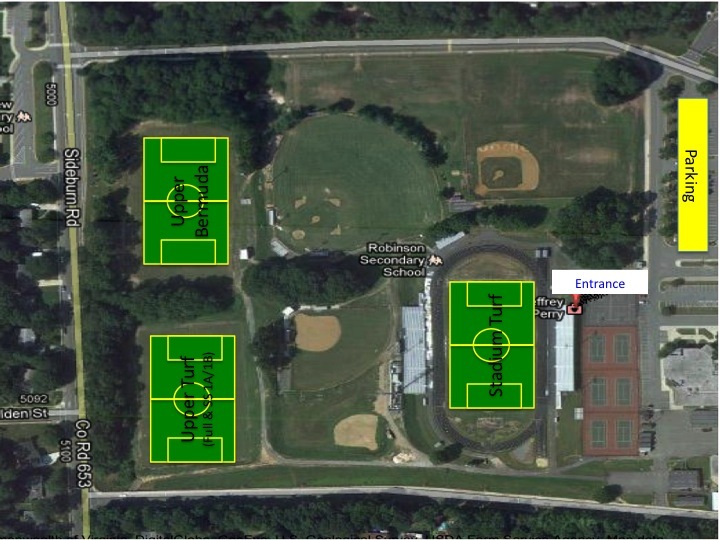 Click HERE for a map of the field layout.